NEW ORLEANS, LA (March 21, 2019)—Brooks Koepka, the world’s third-ranked golfer, reigning U.S. Open champion and 2018 PGA TOUR Player of the Year, is teaming up again with his brother Chase, now a member of the European Tour, announced Steve Worthy, CEO of the Fore!Kids Foundation, producer of the tournament. The brothers tied for fifth in the 2017 Zurich Classic that inaugurated the unique team format. At the time, Chase was playing the European Challenge Tour, the equivalent of the Web.com Tour in the U.S. In 2018 Brooks returned to the TOUR at the Zurich Classic after a three-month injury layoff and paired with Marc Turnesa. Although the team missed the cut, Koepka went on to win his second consecutive U.S. Open and his first PGA Championship, becoming the first repeat U.S. Open winner since 1989. He finished the year ranked number one in the world. “Brooks is coming off a career season last year that really started with his return to play at the Zurich Classic and finished with two majors and a spot on the U.S. Ryder Cup team,” said Worthy. “Chase was playing the European Challenge Tour when he entered the 2017 Zurich Classic with his older brother and went on to earn his European Tour card the same year,” added Worthy. Brooks has won five titles on the PGA TOUR, three of which are majors. He has also won one tournament on the European Tour, two on the Japan Golf Tour and four on the European Challenge Tour. After winning the Turkish Open in 2014, he joined the PGA TOUR fulltime and won his first title at the Waste Management Phoenix Open in 2015. He made the 2016 and 2018 U.S. Ryder Cup teams and the 2017 Presidents Cup squad. In the 2016 Ryder Cup competition won by the U.S, he was one of the team leaders with three wins. Currently, he ranks fifth in the U.S. President Cup team standings. He has won once this season at the CJ Cup @ Nine Bridges and tied for second at the Honda Classic in January. Like his brother, Chase chose to start his professional career in Europe. He earned his European Tour card in 2017 after finishing in the top 15 of the Challenge Tour’s Road to Oman rankings. Chase played collegiately at University of South Florida, where he was named Big East Conference Player of the Year and Freshman of the Year. He holds the USF record for most wins in a college career. NEW ORLEANS, LA (March 19, 2019)— Bubba Watson, who won the Zurich Classic of New Orleans in 2011, then went on to win two Masters titles, will “re-team” with J.B. Holmes again for the 2019 Zurich, announced Steve Worthy, CEO of the Fore!Kids Foundation, producer of the tournament. “Bubba Watson has a great record of success in our tournament, regardless of which format is being played,” said Worthy. “He and J.B. Holmes tied for fifth in 2017, the first year of our team format, and of course Bubba won here in 2011,” Worthy added. Last year Watson teamed with Matt Kuchar to finish in a tie for 28th in the Zurich Classic, while Holmes, paired with Brant Snedeker, missed the cut, despite carding a 66 in the first day of play featuring best ball scoring. Watson has won 12 times on the PGA TOUR, including three tournaments last season—the Genesis Open, World Golf Championships-Dell Technologies Match Play and the Travelers Championship, which he won for the third time in his career. His best finish this season is a tie for fourth in the Waste Management Phoenix Open., his 300th start on the PGA TOUR. He ranks 16th in all-time TOUR winnings with more than $43 million in prize money. In addition to his win at the Zurich Classic in 2011, he also finished fifth in the 2007 tournament. His tie for fifth with J. B. Holmes in the 2017 event was his best finish in the 2016-17 season. He won the Masters in 2012 and 2014, tied for fifth in the 2007 U.S. Open, and took a solo second in the 2010 PGA Championship. He has played on two President’s Cup teams and four Ryder Cup teams. He currently ranks 14th in American Presidents Cup standings and 17th in the Official World Golf rankings. In 2015, he donated $100,000 to assist with recovery efforts after the devastating floods in Louisiana. His longtime caddy, Ted Scott, is from the Lafayette area. Watson is part owner of the Pensacola Blue Wahoos, the Double-A affiliate of the Cincinnati Reds, and owns a candy store in Pensacola where his mom Molly sometimes works. Holmes has won five times on the PGA TOUR, most recently the Genesis Open in January, his 301st tournament in a PGA TOUR career that began in 2005. In 2016, Holmes finished third in The Open Championship and fourth in the Masters. Currently ranked 44th in the world, he played on the President’s Cup team in 2015 and the last two winning U.S. Ryder Cup teams in 2008 and 2016. As an amateur, he was a member of the winning Walker Cup and Palmer Cup teams in 2005. He led his University of Kentucky team to its first SEC golf championship and was named 2005 SEC Player of the Year before turning pro. He was also named an Academic All-American in 2004-2005. His 2011 season was cut short when he underwent brain surgery but came back to play the next year in the Waste Management Phoenix Open, which he had won twice. He was named recipient of the 2016 Ben Hogan Award by the Golf Writers Association of America and was inducted in the University of Kentucky Sports Hall of Fame in 2012. Since 1958, the Fore!Kids Foundation has raised money to fund children’s service organizations through golf events like the Zurich Classic of New Orleans, The Holiday Auction Fore!Kids and several charitable golf tournaments. As a 501(c)(3) corporation, Fore!Kids has helped to raise more than $37 million to date for children’s charities in metro New Orleans and Baton Rouge. More information at http://www.forekidsfoundation.com. NEW ORLEANS, LA (March 12, 2019)—Teammates on last year’s victorious European Ryder Cup squad, Tommy Fleetwood and Sergio Garcia will pair in the 2019 Zurich Classic of New Orleans, announced Steve Worthy, CEO of the Fore!Kids Foundation, producer of the tournament. “These two European stars chose to pair this year for the Zurich Classic, which shows the continued appeal of team golf by those with international team experience,” said Worthy. Last year, in his first appearance in New Orleans, Fleetwood teamed with non-exempt European Tour player Chris Paisley to tie for fourth in the 2018 Zurich Classic. Garcia, playing with Rafa Cabrera Bello, missed the cut last year by only one stroke after firing a 67 in the first day of competition. Fleetwood has won six times internationally and tied for seventh in this season’s World Golf Championships-HSBC Champions on the PGA TOUR. Last season he finished second in the U.S. Open, fourth in the Honda Classic and posted three other top-10 finishes on the PGA TOUR. He is currently ranked 13th in the Official World Golf Rankings after he tied for third in this week’s Arnold Palmer Invitational presented by Mastercard. Since turning pro in 2010, Fleetwood has competed all over the world on the European Tour, the PGA Tour of Australasia, the Japan Golf Tour, the Southern Africa Tour and the Asian PGA. As an amateur, he won the English Amateur title and played for the European team in the 2009 Walker Cup. Later as a professional he represented England in the 2013 Seve Trophy. In his inaugural Ryder Cup competition last year, he won all four of his team matches for the Europeans. Garcia has won 10 times on the PGA TOUR and 23 times internationally, including 14 European Tour titles. He broke through with his first major title at the 2017 Masters when he birdied the first playoff hole to beat Justin Rose, the 2015 Zurich Classic winner. This season his best finishes have been a tie for sixth in the World Golf Championships-Mexico Championship and a tie for ninth in The Honda Classic. He ranks 26th in the world. He has won more than $48 million on the PGA TOUR, placing him ninth all time. He has played on nine Ryder Cup European teams and twice each on Seve Trophy and Dunhill Cup teams. He also represented Spain in the 2016 Olympics, when Rose won the gold medal. His all-time Ryder Cup record is 22-12-7 after finishing 3-1 for the victorious European team in 2018. Garcia set the European Tour record as the youngest player to made the cut at age 14, and he won his first professional tournament, the Catalonian Open, at 17. In 1999 at age 19, he was named the European Tour’s Sir Henry Cotton Rookie of the Year. NEW ORLEANS, LA (March 12, 2019)—Adam Scott, who won the Masters in 2013 and was ranked #1 in the world for 11 weeks, will make his Zurich Classic debut teamed with fellow Australian Jason Day, who won the PGA Championship in 2015 and ranked best in the world for 51 weeks, announced Steve Worthy, CEO of the Fore!Kids Foundation, producer of the tournament. “We are always glad to have Jason back to our tournament, and we welcome Adam Scott for his first time here in New Orleans,” Worthy said. “Both players are likely to make the International Presidents Cup team later this year, so the Zurich Classic presents a perfect opportunity to test their play as a team,” Worthy added. Scott, 38, has won 13 titles on the PGA TOUR, including the 2013 Masters. Among his victories are two World Golf Championships in 2011 and 2016 and a PLAYERS Championship in 2004. In major championships, he has claimed three top tens in the Masters, two in the U.S. Open, four in The Open Championship and four in the PGA Championship. In addition to his 13 PGA TOUR victories, Scott has won 13 times on international tours, including the Australian Open and the Australian PGA Championship in his homeland. He has earned more than $50 million in career winnings on the PGA TOUR since he joined in 2000, placing him seventh all-time. Scott has made every International Presidents Cup team since 2003, sharing the record for a total of eight times, and currently ranks tenth in the 2019 team standings. He has enjoyed a successful start to the 2018-19 PGA TOUR season, with a tie for 10th in the CJ Cup @ Nine Bridges in the fall and second in the Farmers Insurance Open, two strokes behind the winner Justin Rose. He currently ranks 32nd in the world. Day has claimed 12 PGA TOUR titles, including the 2015 PGA Championship. Last season he won the 2018 Farmers Insurance Open and the Wells Fargo Championship. His titles include some of the TOUR’s most prestigious: two World Golf Championships, the PLAYERS Championship and two FedExCup playoff tournaments. The two playoff wins came in a stretch at the end of 2015 when he won four tournaments in the space of six weeks and finished third in FedExCup standings. He has recorded three top-10 finishes in the Masters, including a second in 2011 and a third in 2013. He has also scored in the top 10 five times in the U.S. Open, once in The Open Championship and four times in the PGA Championship, in addition to his win there in 2015. So far this season, his best finishes have been a tie for fourth in the AT&T Pebble Beach Pro-Am and fifth in the CJ Cup and the Farmers Insurance Open. He has finished in the top 20 of all five tournaments he has played this season. He has won more than $44 million in his career on the PGA TOUR, 13th all-time. Day has played for the International team in the last four Presidents Cup competitions, and competed in the 2013 World Cup as well. He currently ranks 12th in the Official World Golf Rankings and ninth in the International Presidents Cup standings. He has come close to winning the Zurich Classic twice: he tied for fourth in 2015 and fifth in the rain-shortened 2016 tournament. Last year, paired with fellow Australian Ryan Ruffels, he finished 34th. Scott and Day formerly teamed up to win the World Cup team title in 2012, when it was played in Australia. Foundation has generated more than $9 million to children’s charities in last five years. NEW ORLEANS, LA (February 5, 2019)—For the first time ever, the Fore!Kids Foundation, producer of the PGA TOUR’s Zurich Classic of New Orleans, has topped the $2 million mark in donations to children’s charities, announced Steve Worthy, CEO of the Foundation. “Thanks to the generosity and dedication of our fans, sponsors, volunteers and PGA TOUR players, we have steadily increased our charitable giving each year for the last five years, and this year passed the $2 million mark,” said Worthy. “And of course, none of this would be possible without the outstanding leadership and commitment to our community from our title sponsor, Zurich Insurance,” Worthy added. The Fore!Kids Foundation donated funds this year to some 60 charities in the metro New Orleans and Baton Rouge areas, impacting the lives of more than 200,000 children in southeast Louisiana. The Foundation has generated more than $9 million in charitable contributions over the last five years. Lead non-profit organizations receiving six-figure donations include: Children’s Hospital; Bayou District; First Tee of Greater New Orleans; St. Michael Special School; Louisiana Hospitality Foundation and Educare New Orleans. The Zurich Classic is the only team tournament on the PGA TOUR season. Since implementing the team format two years ago, the Zurich Classic of New Orleans has drawn some of the highest ranking fields for any regular-season tournament on the PGA TOUR. In 2018, the tournament field included six of the top ten players in the world; all four reigning major champions; the U.S. Ryder Cup captain and six members of the U.S. team along with the European Ryder Cup captain with four of his co-captains and six players on the victorious European team. Since 1958, the Fore!Kids Foundation has raised money to fund children’s service organizations through golf events like the Zurich Classic of New Orleans, The Holiday Auction Fore!Kids and several charitable golf tournaments. As a 501(c)(3) corporation, Fore!Kids has helped to raise more than $37 million to date for children’s charities in metro New Orleans and Baton Rouge. More information at www.forekidsfoundation.com. AVONDALE, LOUISIANA – Zurich Insurance is renewing its sponsorship of the Zurich Classic of New Orleans through 2026. The seven-year extension was announced today, the final day of the 2018 tournament, by Zurich North America CEO Kathleen Savio, PGA TOUR Commissioner Jay Monahan and CEO of the Fore!Kids Foundation Steve Worthy. The Fore!Kids Foundation is the local host organization of the Zurich Classic. Zurich became title sponsor of the tournament in 2005 and last signed an extension through 2019. Last year, the Zurich Classic became the PGA TOUR’s only official team event. The innovative format continued for this year’s tournament as the city of New Orleans celebrates its 300-year anniversary. Zurich assumed sponsorship of the tournament just months before Hurricane Katrina devastated the region. 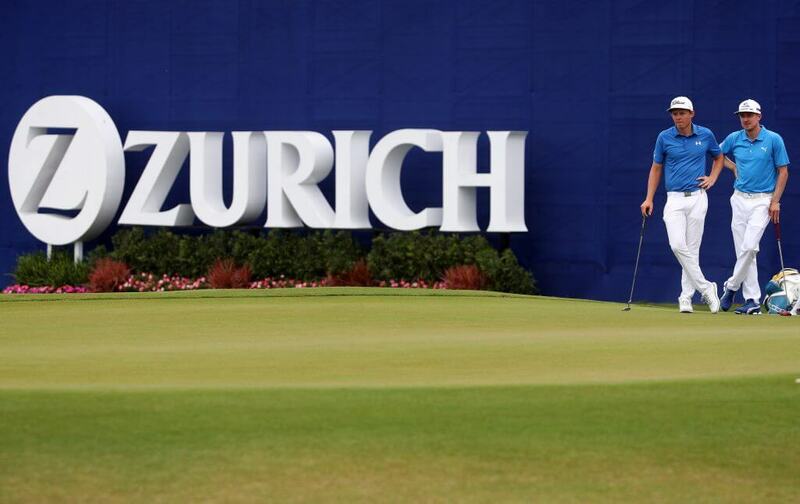 Zurich and its employees became deeply rooted in New Orleans’ recovery, and the Zurich Classic of New Orleans became the first major sporting event to commit to returning to the city for 2006. Zurich executives and employees have been intimately involved with the community and the Fore!Kids Foundation’s charitable initiatives ever since. These include hands-on support of SBP, established after Katrina to rebuild homes in storm-ravaged areas of the city, and St. Michael Special School for children with significant learning disabilities. Funds from Zurich and the tournament helped to build a Vocational Training Center that bears Zurich’s name and a state-of-the-art playground at the school. Officials, in fact, have referred to New Orleans as Zurich’s adopted home. The PGA TOUR co-sanctions more than 130 tournaments on the PGA TOUR, PGA TOUR Champions, Web.com Tour, PGA TOUR Latinoamérica, Mackenzie Tour-PGA TOUR Canada and PGA TOUR Series-China. Members on the PGA TOUR represent the world’s best players, hailing from 25 countries (84 members are from outside the United States). Worldwide, PGA TOUR tournaments are broadcast to more than 1 billion households in 226 countries and territories in 23 languages. Virtually all tournaments are organized as non-profit organizations to maximize charitable giving. In 2017, tournaments across all Tours generated a record of more than $180 million for local and national charitable organizations, bringing the all-time total to $2.65 billion. The PGA TOUR’s web site is PGATOUR.COM, the No. 1 site in golf, and the organization is headquartered in Ponte Vedra Beach, Florida. NEW ORLEANS, LA (April 26, 2018)—Fidelity Bank, which has provided financial services to the New Orleans area for nearly 110 years, has teamed with the Zurich Classic to become title sponsor of the popular Champions Club and official bank, announced Steve Worthy, CEO of the Fore!Kids Foundation, producer of the tournament. The Fidelity Bank Champions Club features signature dishes from seven of the best restaurants in New Orleans: Arnaud’s, Drago’s, Nola, Galatoire’s 33 Bar & Steakhouse, Jamba Juice, Mr. B’s Bistro, PJ’s Coffee, Ruffino’s and Tableau by Dickie Brennan. “We are proud to associate with a heritage name like Fidelity Bank in our Champions Club,” said Worthy. “Fidelity is an honored institution in New Orleans and their strong support will help us significantly in generating funds for children’s charities,” Worthy added. “Fidelity Bank is celebrating our 110th year and our mission is ‘Here for Good.’ We believe our partnership with Fore!Kids Foundation and the Zurich Classic helps to strengthen our mission and allows us to support many non profits that align with our values including the Louisiana Hospitality Foundation,” said Chris Ferris, President and CEO Fidelity Bank. “The significant economic impact the Zurich Classic has had on our city since 2005 has been tremendous and we are glad we can be a part of that continued support to our community,” Ferris added. Founded in 1908, Fidelity Bank mission is HERE FOR GOOD. Fidelity Bank is an $800 million dollar in assets mutual financial institution chartered by the state of Louisiana with 18 branches throughout Southeast Louisiana. Fidelity Bank provides a full array of banking and mortgage services, with high integrity and personalized service to communities throughout Southeast Louisiana. For more information, please visitwww.bankwithfidelity.com.